George Santayana said, “A country without a memory is a country of madmen.” I believe that to be the case with the rich history of America’s south. The third largest country of South America, Peru, has it’s own share of memories written in the colossal pages of history. Lima’s (Peru’s capital) meandering history has been dictated both by natural disasters and unprecedented infiltration of migrants. But like a city of “the valiant” Lima has always pushed back and stood up on its feet. Lima is accessible through different parts of the world. Flights to Lima go from U.S.A, Germany, Canada, U.K and many others. 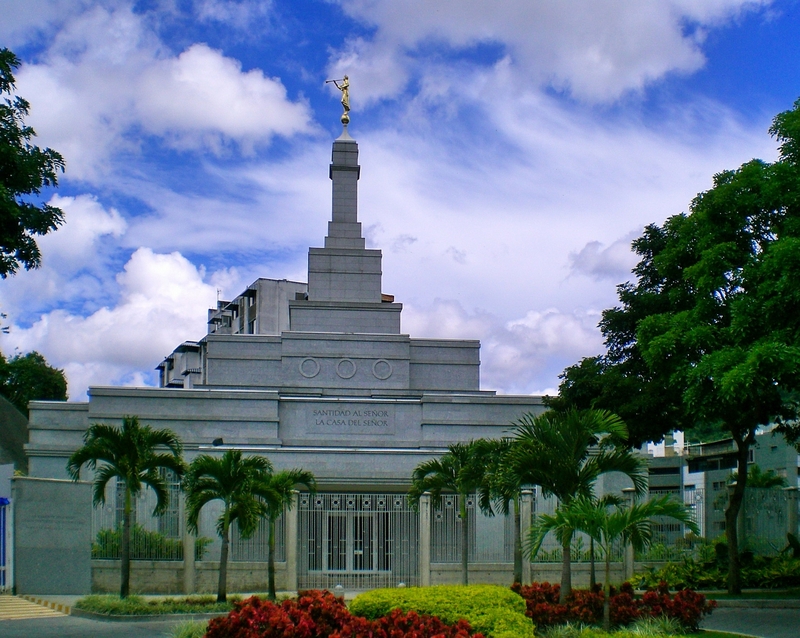 There are also abundant hotels in Lima, which provide accommodation to tourists at cheap prices. Extremely comfortable and accessible Bed and Breakfasts in Lima start from as low as $30, which is not only affordable but a great price for those who are on a tight budget. 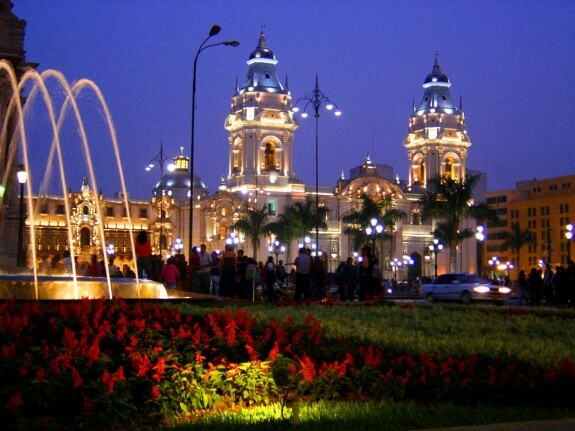 If history is in question, you cannot miss a trip towards Plaza de Armas, situated in the centre of Lima. For travelling purposes within Lima, car rental facilities are also available for as low as $ 10 a day! While I was travelling towards Plaza Mayor, in my rented car, I got to know about its fascinating history. My guide explained how in 1535, the Spanish conquistador, Francisco Pizarro founded Lima at precisely this spot, where today the glorious Plaza de Armas stands. 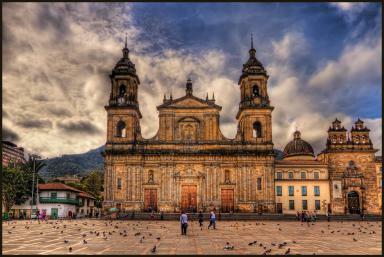 Plaza Mayor, the birthplace of Lima, in my opinion is the best birthday present Pizarro could give to Lima. As I walked down the grand lane laid out in traditional grey boulders, towards the plaza the first object that caught my eye was the magnificent bronze water fountain. Fortunately, it was a particularly sunny day in Lima, and the glorious sight of the fountain almost took my breath away, as the rays of the sun shimmered through the fountain’s water. People around me, jauntily strode towards either sides of the Plaza, obviously in awe of its grandeur. 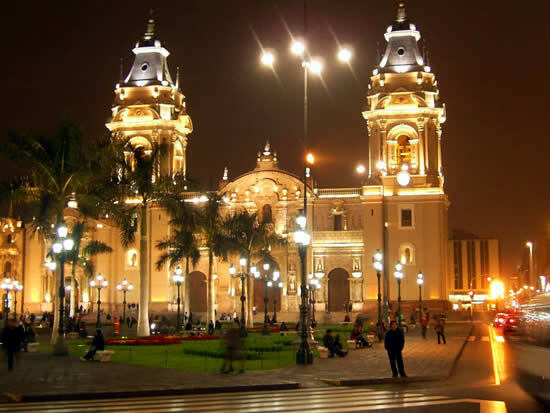 The Plaza is erected in the centre of Lima and is surrounded by monumental yet picturesque edifices of the Government Palace, the beautiful cathedral of Lima, the Archbishop’s Palace, the Municipal Palace and the Palace of Union. Towards the northern side of the Plaza is the majestic and stately Government Palace, which is surrounded by black wrought iron fences. The Government Palace, also known as House Of Pizarro, has been through many modifications. But it is a treat to look at, even today as it stands in its white regal French Baroque Architectural glory. Towards the eastern side of the Plaza are the imperial monuments of Lima – the Archbishop’s Palace and the Cathedral. The Archbishop’s Palace is once again reminiscent of the Baroque Architectural splendour. The structure being the epitome of architectural ingeniousness is built of dignified white reintegrated rock. The cedar balconies located over the main doors of the palace are reminiscent of 17th century Europe, illustrating an aristocratic and royal aura. However, the monument that I saved for last is perhaps one of the most magnificent buildings that I have ever seen. It was late in the afternoon, when I entered the Basilica Cathedral of Lima. In spite of being reduced to rubble in the 1746 earthquake, and consequently rebuilt in 1755, it still remains a colonial masterpiece. The dome shaped ceiling is beautifully designed with an ornate sense, which depicts the grandeur of sacredness and purity. So don’t miss out on this great opportunity, because you’re bound to have the time of your life. an algorithm that is continually changing. have it, they will probably find it for you.